I have been researching about ecovillages in the University since 2011. I have a PhD in Sustainable Development (UnB), and an MS in Social Psychology (USP). You can find my publications in https://brasilia.academia.edu/RRoysen. 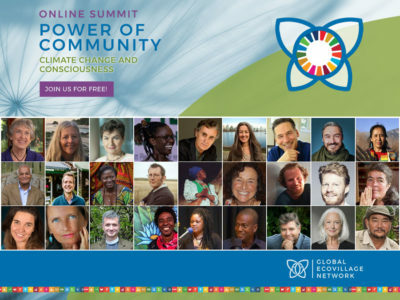 I’m very much inspired by the personal and collective transformation power of community and I love to share my knowledge through lectures, workshops, and writings. I live with my 8-year-old daughter in Ecoaldeia Aratikum, an ecovillage located in Instituto Biorregional do Cerrado (IBC), in Alto Paraíso de Goiás, Brazil (https://www.biorregional.eco.br/).